Sleeveless women dress. 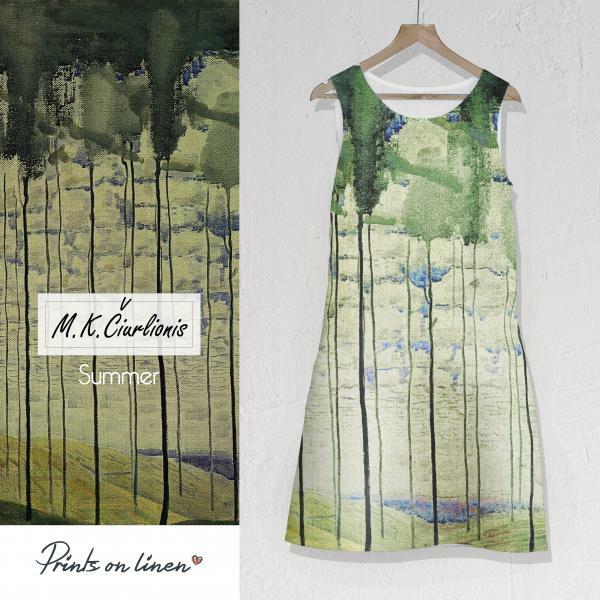 Print design is inspired by M. K. Ciurlionis artwork "Finale (Sonata of the Sun)". 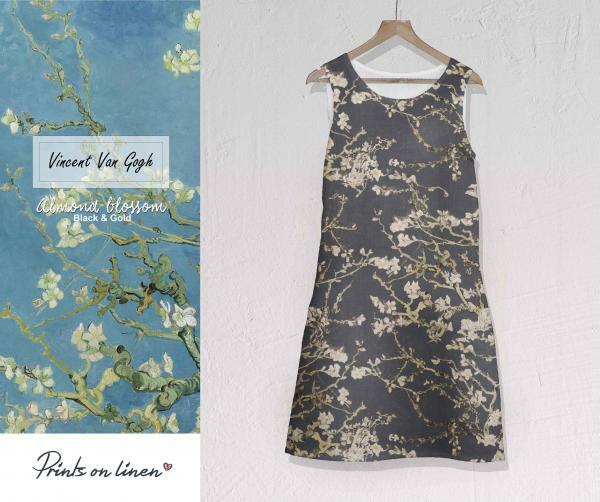 Dress with deep pockets. 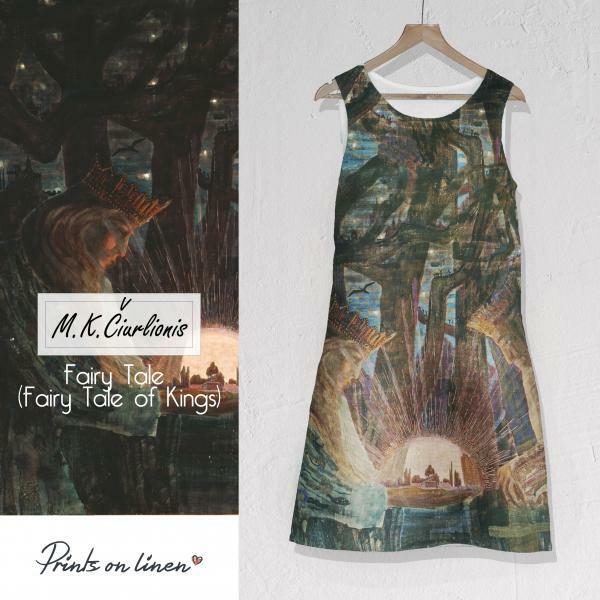 Hand made in Lithuania, 100% linen. 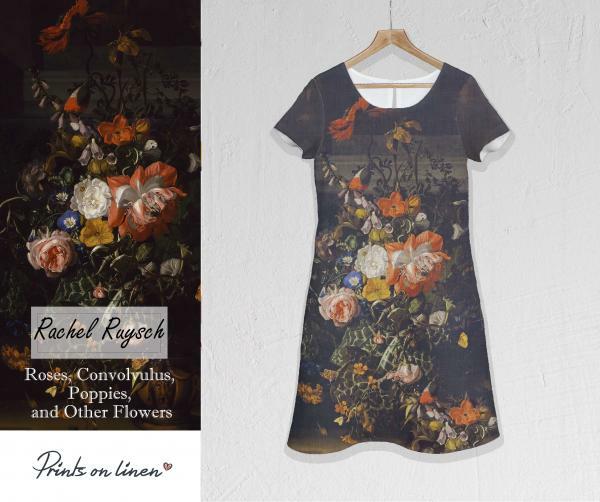 Sleeveless women dress. 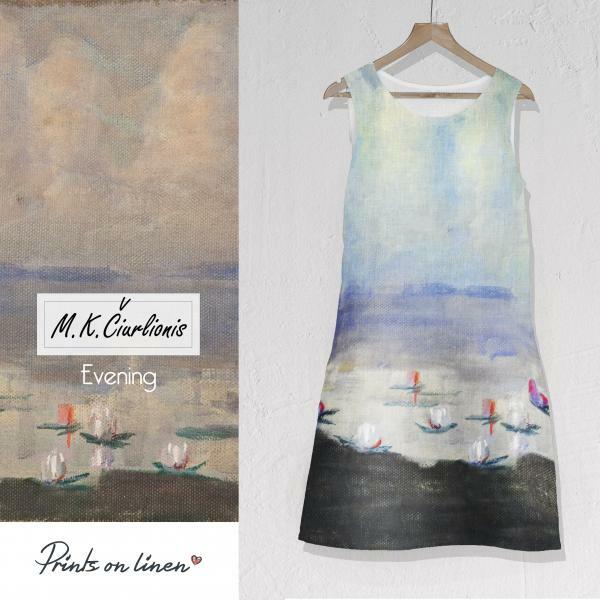 Print design is inspired by M. K. Ciurlionis artwork "Evening". 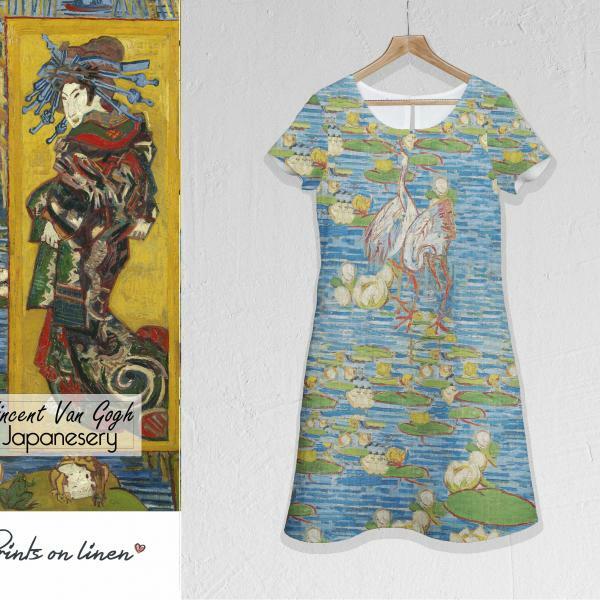 Dress with deep pockets. 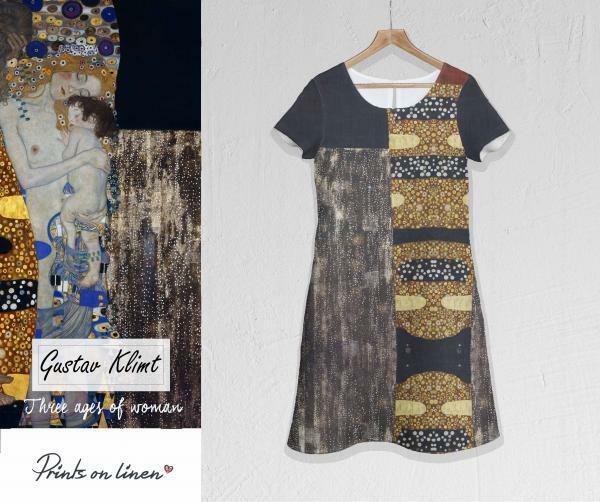 Hand made in Lithuania, 100% linen. 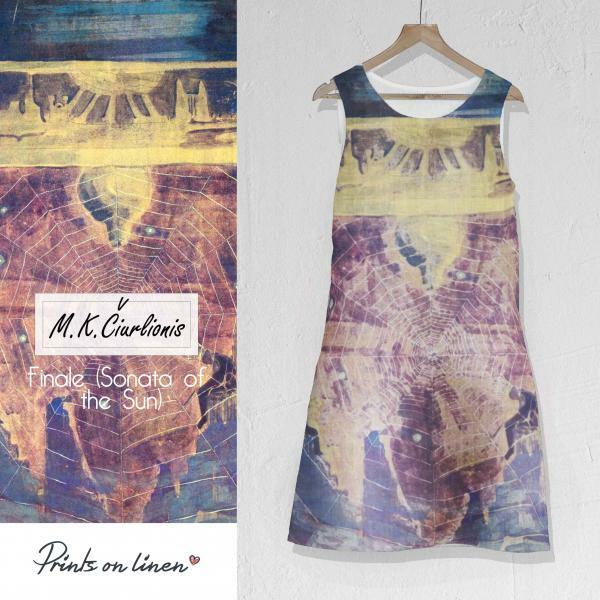 Sleeveless women dress. 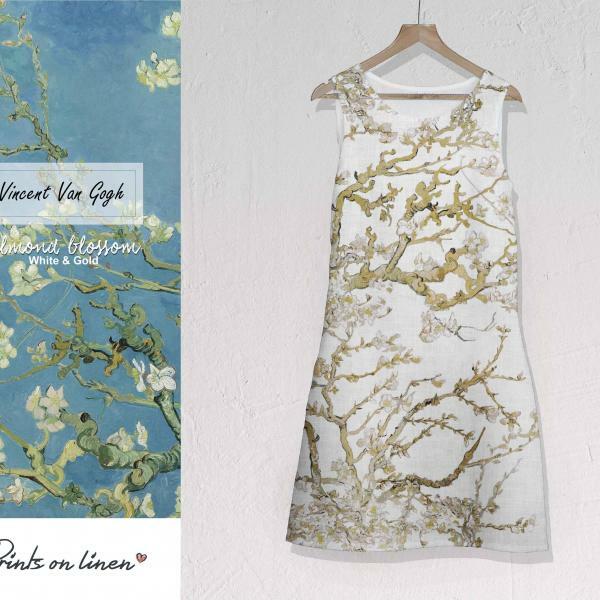 Print design is inspired by Vincent van Gogh artwork "Almond Blossom" (white edition). 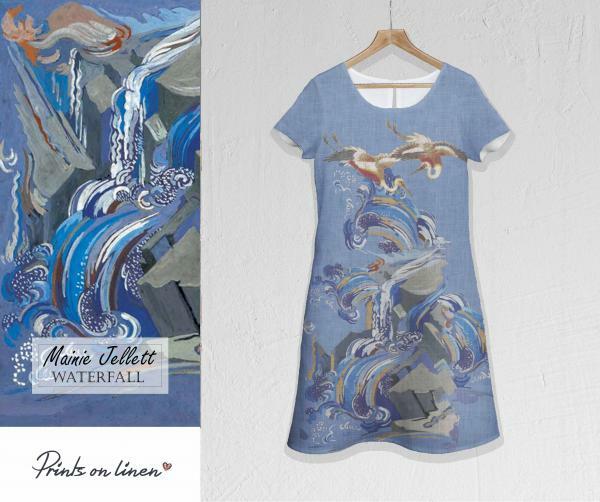 Dress with deep pockets. Hand made in Lithuania, 100% linen. Sleeveless women dress. 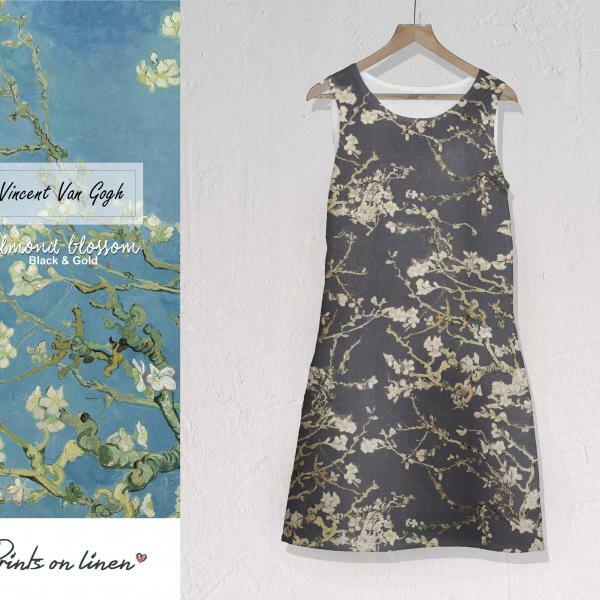 Print design is inspired by Vincent van Gogh artwork "Almond Blossom" (black edition). 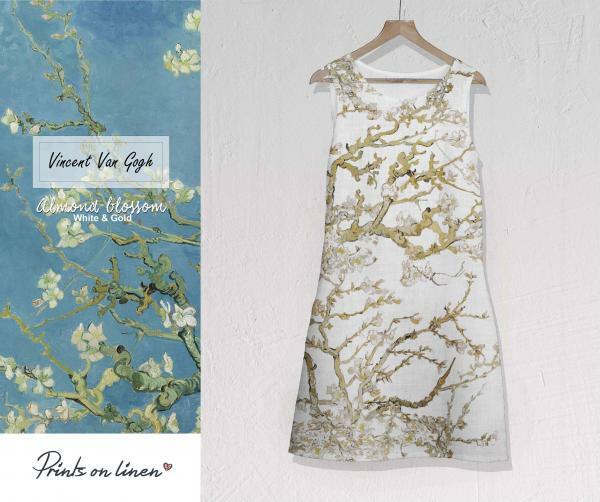 Dress with deep pockets. Hand made in Lithuania, 100% linen. 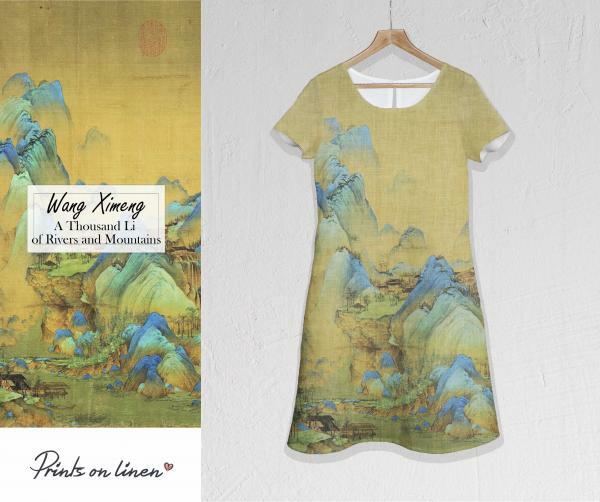 Linen woman dress with short sleeves and pockets. 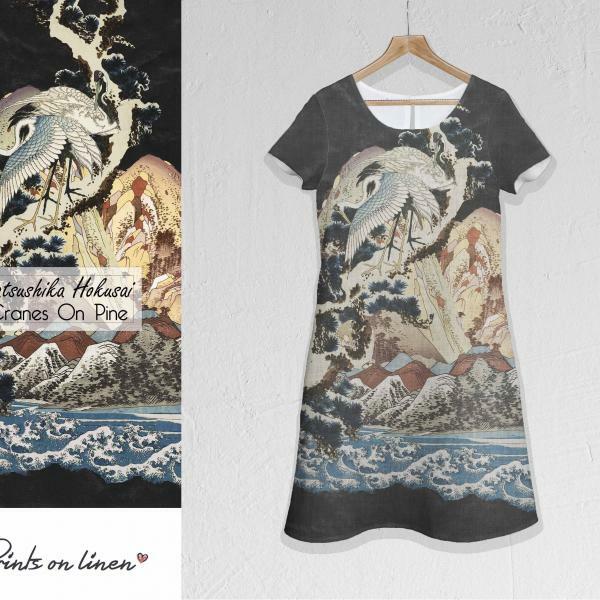 Dress design inspired by Katsushika Hokusai artwork "Mount Fuji from the Minobu River". Stonewashed linen fabric. 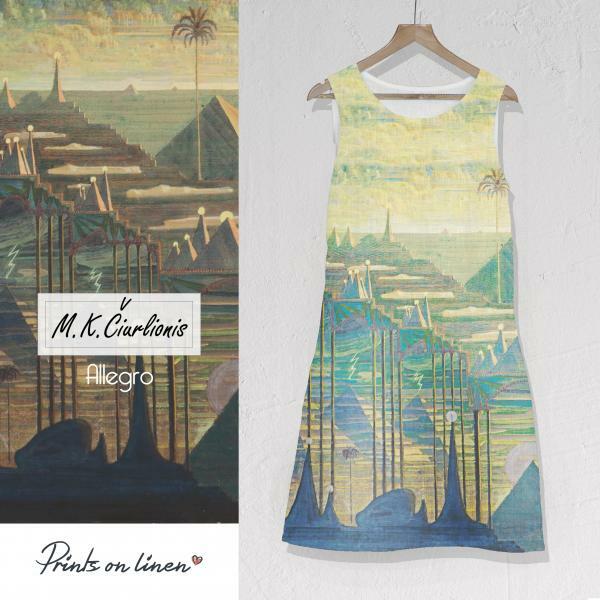 Linen woman dress with short sleeves and pockets. 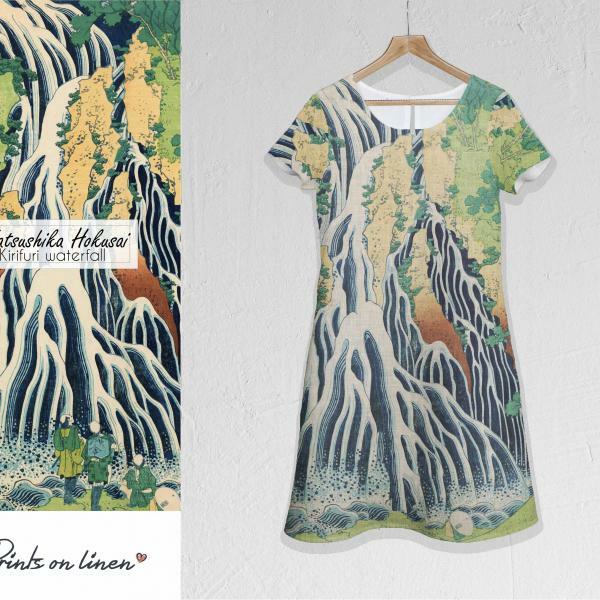 Dress design inspired by Katsushika Hokusai artwork "Kirifuri Waterfall". Stonewashed linen fabric. 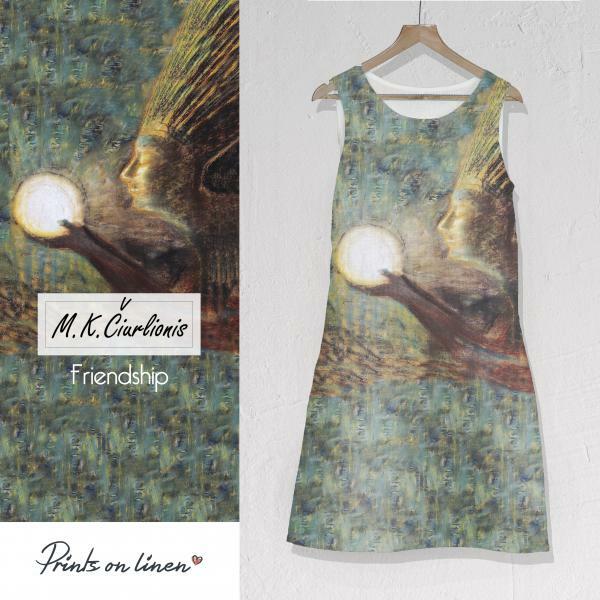 Linen woman dress with short sleeves and pockets. 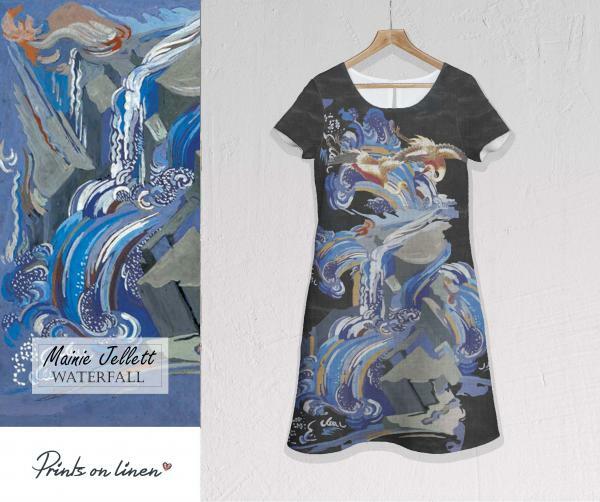 Dress design inspired by Mainie Jellett artwork "Waterfall" (blue). Stonewashed linen fabric. 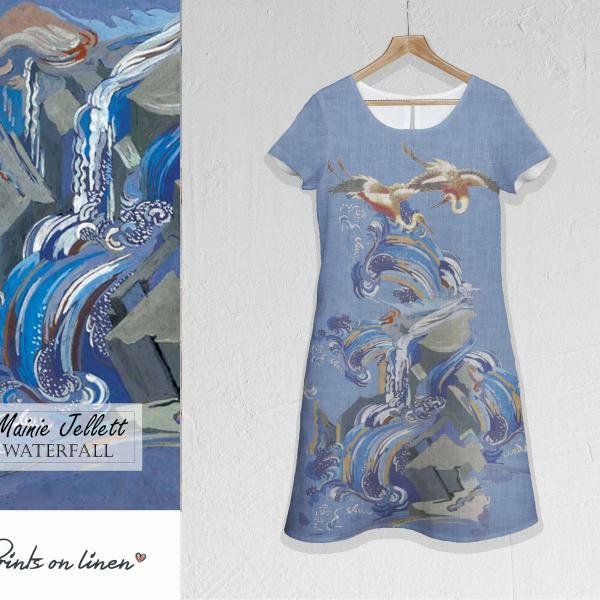 Linen woman dress with short sleeves and pockets. 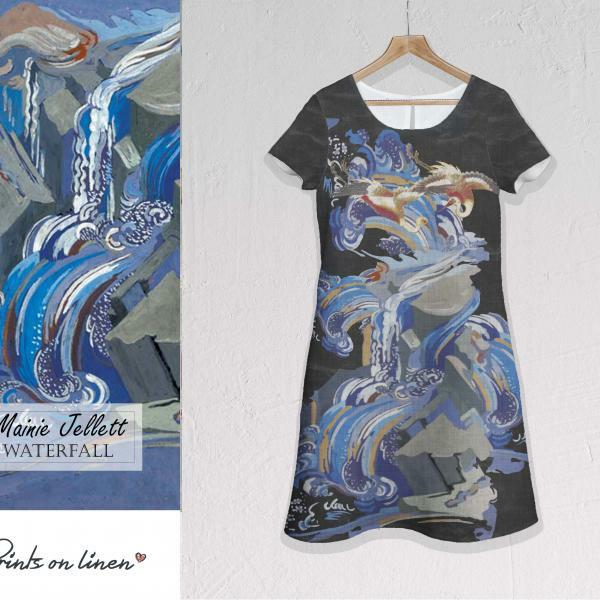 Dress design inspired by Mainie Jellett artwork "Waterfall" (black). Stonewashed linen fabric. 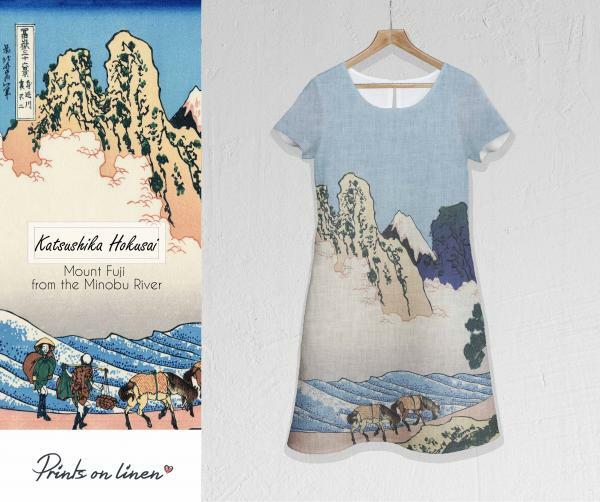 Linen woman dress with short sleeves and pockets. 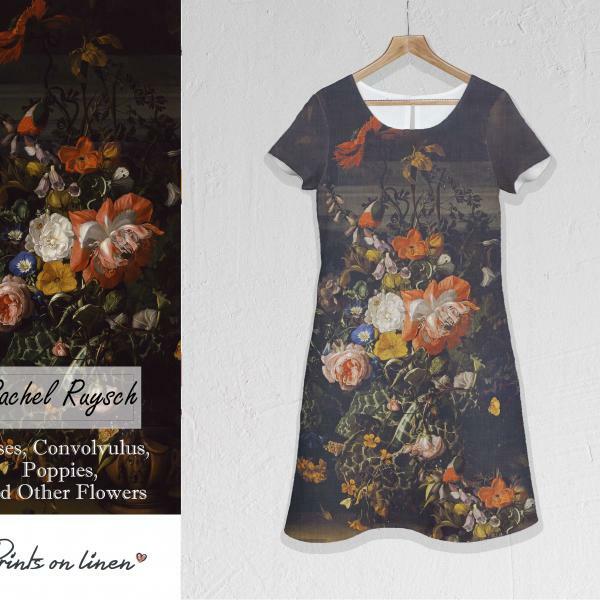 Dress design inspired by Rachel Ruysch artwork "Roses, Convolvulus, Poppies and Other Flowers". Stonewashed linen fabric. 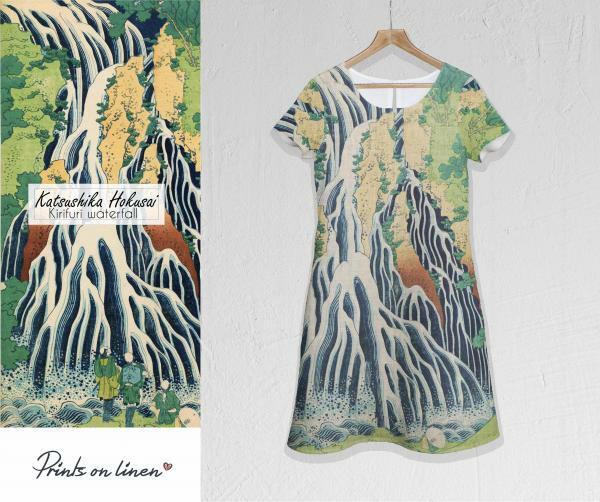 Linen woman dress with short sleeves and pockets. 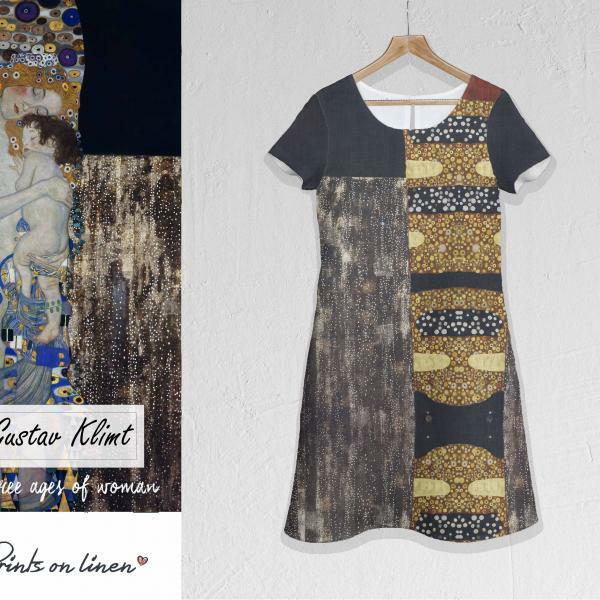 Dress design inspired by Gustav Klimt artwork "Three Ages of Women". Stonewashed linen fabric. 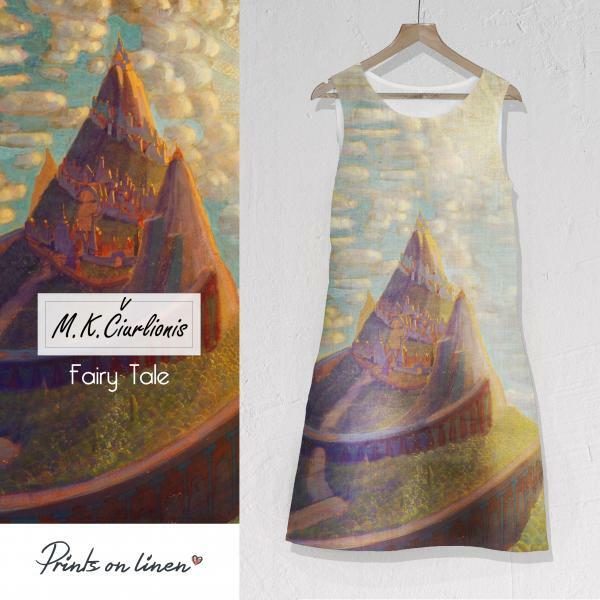 Linen woman dress with short sleeves and pockets. 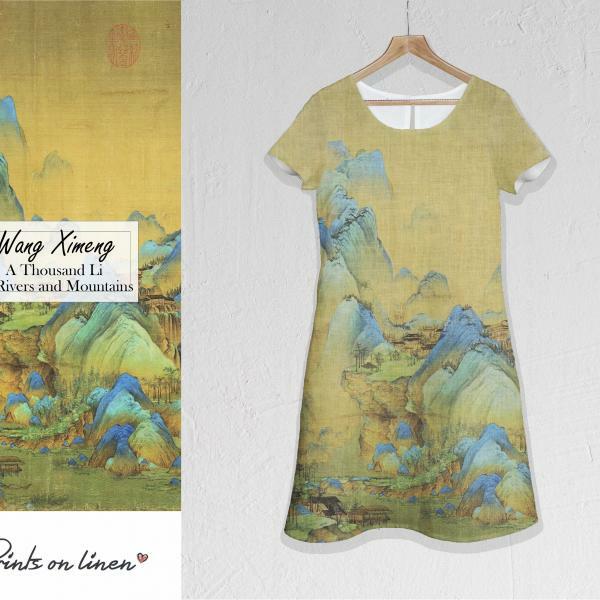 Dress design inspired by Wang Ximeng artwork "A Thousand Li of Rivers and Mountains". Stonewashed linen fabric. Linen woman dress "Cranes of Pine" with short sleeves and pockets. 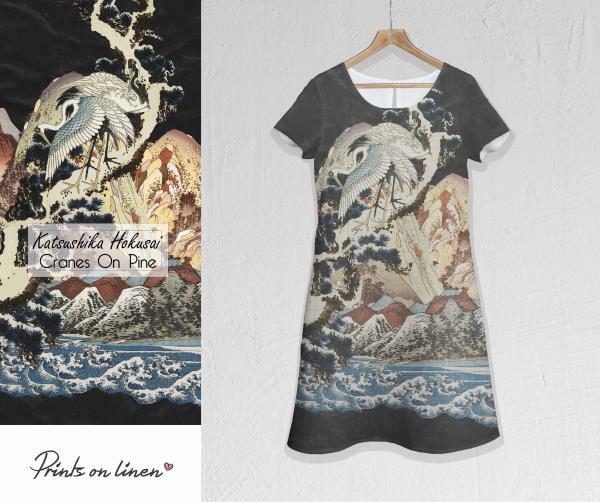 Dress design inspired by Katshusika Hokusai artworks. Stonewashed linen fabric. 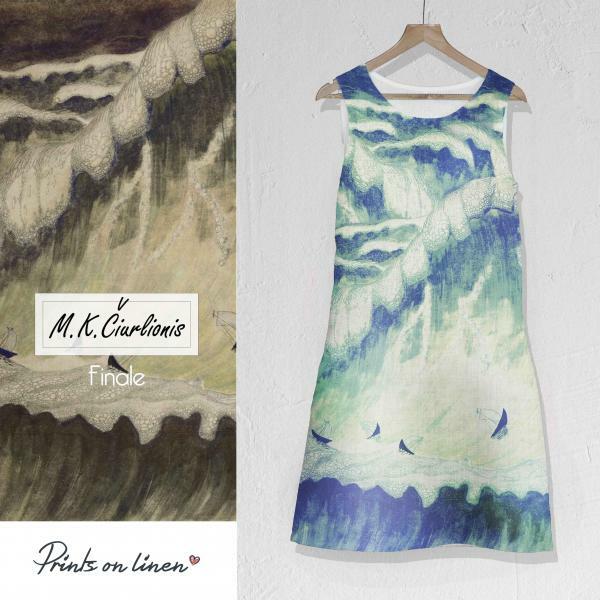 Linen woman dress with short sleeves and pockets. 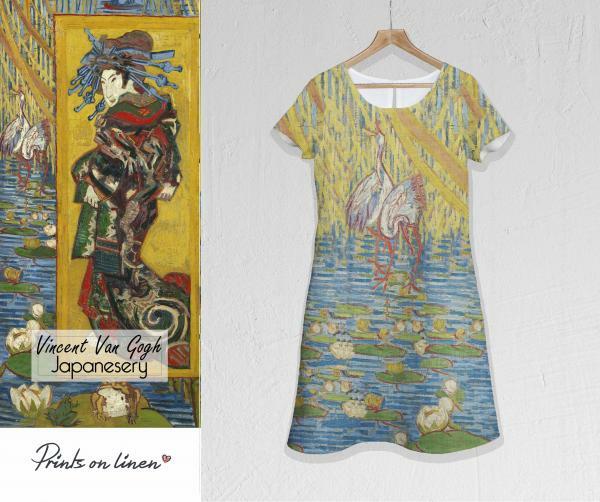 Dress design inspired by Vincent van Gogh artwork "Japanesery" (yellow). Stonewashed linen fabric. 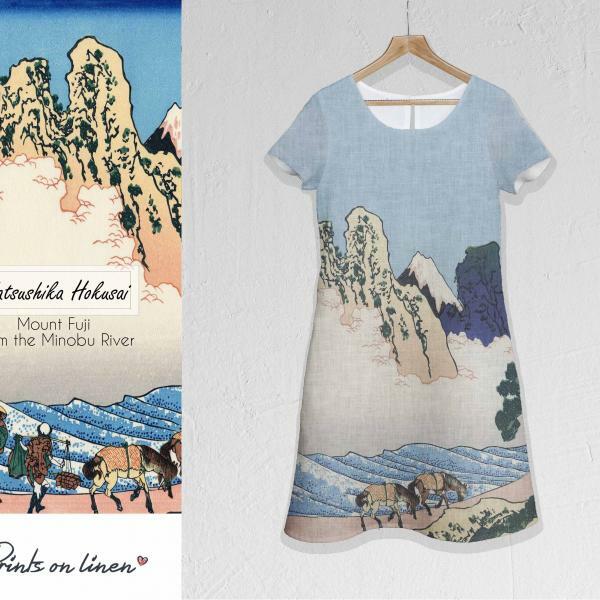 Linen woman dress with short sleeves and pockets. Dress design inspired by Vincent van Gogh artwork "Japanesery" (blue). Stonewashed linen fabric.